Mondays are the “spring” of every week, they are those first mouthfuls of an incredible gelato cone, they are the first minutes of your workout or the first tunes of a song you love. This week’s picks are quite random but very inspiring and addictive. 1. Prisma – this is a photo editor app, but a special one. It uses colors and geometric patterns to turn your pictures into artwork. This tool is so great to create a distinctive image of yourself or a scenery, it has several interesting filters and built in buttons to share with your friends on Facebook and Instagram. A downside is that it is getting very popular and I often got, in the last few weeks, a message from the developer that the app is not working due to too much traffic. 2. IChoose – is an app that I use whenever I want to let the universe decide for me. It’s a simple app that will toss a coin or roll a dice for you when you don’t have them handy. You can even play rock-paper-scissors. 3. 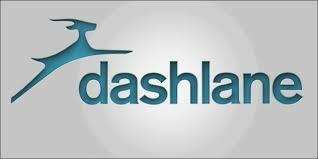 Dashlane – is a password manager app that also works as a digital wallet in the sense that you can save your receipts and credit card info in a secure, encrypted and free app. It will basically make your life much easier. 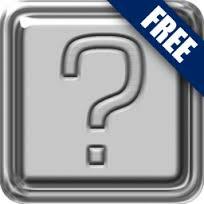 You will only have to remember one login for all your accounts and it will auto login for you without any hurdles. I am not an expert in password manager apps, by no means, but it is endorsed by the New York Times and Forbes, so it must be at least above average. I hope you like my choices for the week and that you are well and rested after a wonderful holiday. PS: In case you are wondering why I was rambling about Mondays, well, I write this post on Mondays almost every week, that is why. PS2: Yes, it is us in the Prisma pictures, on a boat on our recent holiday.